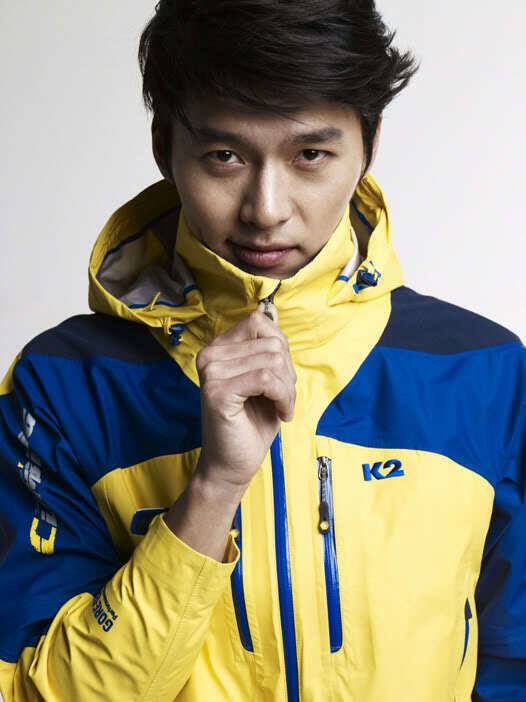 I’m kind of sick to death of seeing Hyun Bin (Secret Garden) in every Korean news story ever, but this campaign for sports/outerwear line K2 just made me smile, because he’s WORKIN’ IT, like Tyra-Banks-style-fierce, and I don’t even know why. He looks good, of course. But the poses make me laugh. thankful that there’s nary a sequin in sight. Oh, happy day. Hyun Bin’s airport fashion has been trending ever since he left for Germany on February 15th. Unlike the sleek suit he’s been wearing for “Secret Garden“, Hyun Bin departed wearing a casual but unique outfit that worked well in expressing his individuality. For fun, Sports Chosun dissected his airport fashion for fans to enjoy, and discovered that this A-list talent wore corresponding A-list brands. The vintage-looking leather jacket is $1,710 USD from Giorgio Brato, and his Alexander McQueen print T-shirt is $350 USD; meanwhile, his DSQUARED jeans were valued at $690 USD. For his accessories, Hyun Bin wore a Julien David scarf worth $790 USD and his Dolce & Gabbana sunglasses were priced at $300 USD. As for shoes, he wore Giorgio Armani’s back angle boots, which are worth $1,000 USD. The look was completed with a L’inoui backpack worth $700 USD. The actor is heading to Germany to attend the “61st Berlin International Film Festival” for his films,”Come Rain, Come Shine” and “Late Autumn.” Hyun Bin will walk the red carpet and attend the screening for “Come Rain, Come Shine” on the 18th, do the same for “Late Autumn” on the 19th, and then return home to Korea on the 21st. epidh exw ena 8ema egw me ta papoutsia ama ta e3ereshs mou aresh to style tou! συμφωνώ ήθελε ένα πιο "αθλητικό" παπούτσι! καλά ακόμα να πάει φαντάρος αυτός? και που θα πάει φαντάρος! The stars of “Late Autumn“, Hyun Bin and Tang Wei, worked their magic for a breathtaking photoshoot for ‘Vogue‘ magazine. Set to be published on February 20th, 12 pages of their exclusive photoshoot will be revealed in the magazine’s March edition. The concept the “Late Autumn” stars portrayed was ‘a ragged couple’s fantasy comes true, from their dreams to real life‘. In the photos, the two actors cleaned up their looks and wore a stylish dress and a suave tuxedo to host a party as a charming couple enjoying their luxurious lifestyle. Vogue secured the photoshoot a year before “Late Autumn” began filming in. The plans for the shoot finally became realized when Tang Wei came to Korea last month to promote the movie. άμα έλειπε και η κοπελιά ακόμα καλύτερα! Fashion magazine High Cut recently unveiled a new photo spread titled “Sleepless Nights in Seattle with Hyun Bin & Tang Wei”, which features behind-the-scene photos of Hyun Bin filming for his movie, “Late Autumn“. “Late Autumn” is a 1966 remake movie that illustrates a story about a female convict (Tang Wei) who receives a three day parole, during which she falls in love with a man (Hyun Bin) who harbors a dark past himself. are seen melting into the backgrounds of the photoshoot. scheduled to hit the box offices on February 17th. 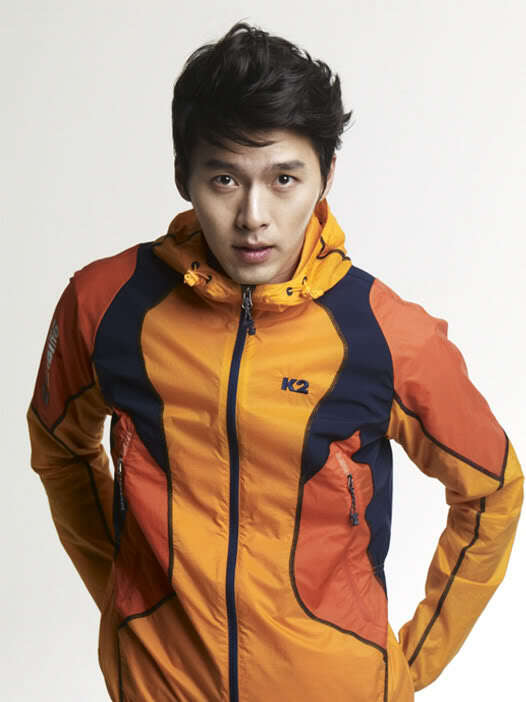 How to make outdoor sportswear look so stylish and desirable? with friends and relax until his enlistment on 7th of March. aaaaaaaa den thelw den thelwwwwww na paei sto stratooooooo!!!!!! the city. At the closing ceremony Hyun Bin wore a classic Giorgio Armani tuxedo, at the press conference he wore a simple Dolce & Gabbana semi-suite and at the airport he was dressed in casual Emporio Armani. The pictorial is to be released in the first week of March via High Cut issue #48. Here are the pictures released via the media. and featured in the news on the 4th of March. On March 7th, actor Hyun Bin released a digital remake of “Can’t Have You“, a theme song from his 2009 drama, “Friend, Our Legend“. 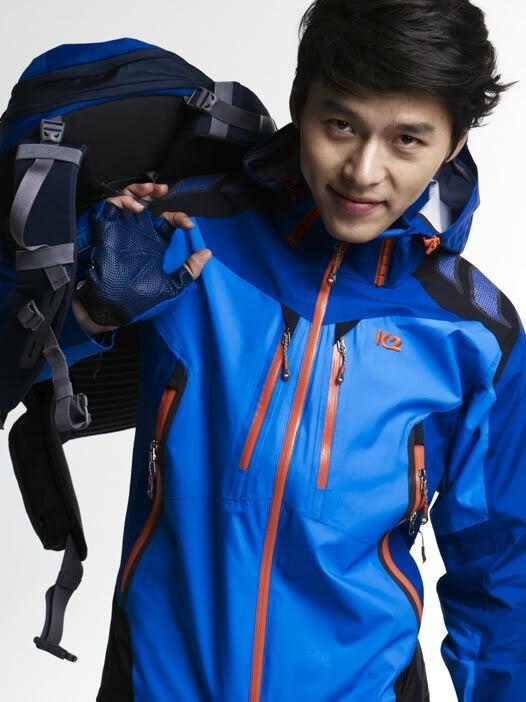 The song was originally done by Bank, but received further popularity after Hyun Bin covered it two years ago; viewers felt that it brought out a certain charm in Hyun Bin that they couldn’t see clearly from his drama role. The song even went overseas, as it was briefly featured in a Japanese drama as well. Representatives of the song’s distributor commented, “The song was remade because of Hyun Bin’s affections for the song.” Considering how he’s leaving for the marines today, it’s more than likely that it’s a parting gift from the actor.